Have you fed your trees lately? Don’t let them starve! When we speak to customers about what they fertilize in their landscape, trees are often last on the list and sometimes forgotten altogether. Trees need to be fed just like the rest of the landscape. 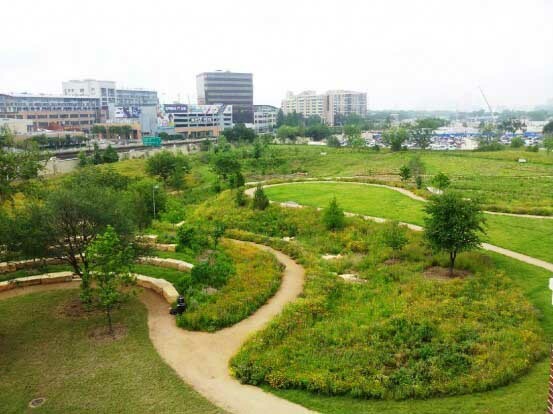 Drought stress is an increasing problem with our urban trees here in North Texas. Undernourished trees are left even more weakened when rainfall or irrigation water is limited. Weakened, drought stressed trees are much more susceptible to pests and disease. By feeding our trees regularly, we give them the strength to survive our extreme weather and water challenges. Why should you worry about your trees? Trees provide the oxygen we breathe and improve our urban air quality by filtering pollution. They provide habitat for wildlife and shade for our homes. The shade they provides reduces urban temperatures and our energy use. Trees even help control runoff water waste during rain storms and control soil erosion. Honestly, can you imagine living in a city without trees? We care for our urban trees because we care about a healthy and beautiful urban living environment. Having to remove a tree due to unintentional neglect can be very costly; especially when a tree becomes a hazard and damages property before you may have even realized there was a probleml! Even if you fertilize your trees, you still need to make sure your soil is healthy and nutrient rich in order to keep trees thriving year-round and long-term. Building your soil health through applications of compost extract, organic nutrients and microbial & mycorizal inoculation. These applications stimulate the natural breakdown and availability of nutrients in the soil to your garden plants, lawn and trees. We offer a simple solution with our Deep Root Tree Fertilization. Organic fertilizers are injected directly into your lawn’s soil or close to tree root systems, as well as soil amendments, to stimulate root growth and vigorous tree development. When your soil is healthy and full of microbial activity, it retains water and nutrients better and aids in root’s uptake of much needed nutrition. When was the last time you fed your trees? Now would be a great time to get on our Soil Building Program and add tree fertilization to your landscape care regimen.